This Performance Hybrid Nylon Whip was made for Jeremiah in Black, Charcoal Gray, Silver Gray, and White. This matched pair of Performance Hybrid Nylon Whips was made for Lockwood in Black, Imperial Red, Charcoal Gray, and Silver Gray. 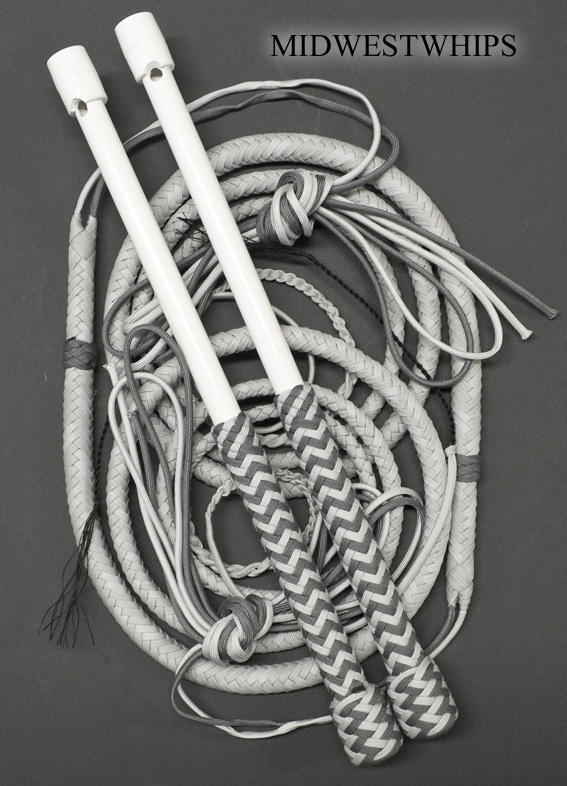 A 16 plait nylon single tail whip, a “Snignal,” was also made to match this pair. 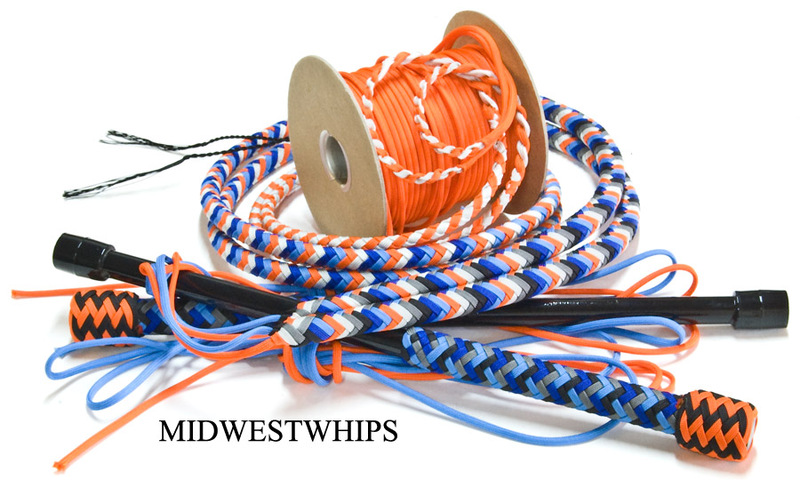 Check out our MidWestWhips Nylon Whips page for more information our singletail Snignal Whips, or go to the MidWestWhips Nylon Whips page for more information about our Performance Hybrid whips.